With Google’s free tools and services that are introduced for the benefit of the online marketer, you can harvest more success. Google can become one of the most important parts of your online marketing efforts. With Google’s free tools and services that are introduced for the benefit of the online marketer, you can make use of these wonderful services and aim for higher success for your online activities. Google Blogger is the most valuable blogging service from Google. Blogs have become one of the most effective ways of giving more information about your website and putting related information about your products, services and your company information to your target audience. Blogs are extremely useful in adding the latest and most updated information about your products to those interested in them on a daily basis. The Blog with RSS feeds are the best way of releasing the updated information to your target audience. All the Blogger blogs come with their own Google Search bar integrated with them so that you and your blog visitors can easily take benefit of Google’s marketing tools. With well created Blogs you will be able to increase the health and attraction of your website and help you in increasing more targeted traffic to it. The success of any online marketing effort depends much on the number of people you have in your contact list. With so many ways to build a good contact list, it is necessary for the online marketer to find out ways of bringing in as many persons interested in your product line as possible. This helps you to market your products easily to those in the list and your promotion to the list is able to get more returns for your marketing efforts. The Google Groups is one of the most important of the Google’s tools for contact list building. Google Groups is fast emerging as one of the fastest growing social and business networking that can add a tremendous boost to your online marketing efforts. 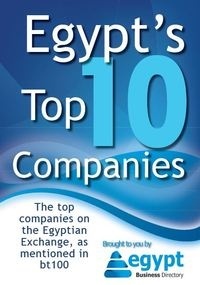 PromoLinks International is Egypt’s 1st “Digital Advertising Agency“. We study our customers’ needs to execute mix of digital advertising campaigns.